This book enables students who have already developed a basic competence in Italian to broaden and improve their vocabulary and choose among words with similar meanings. 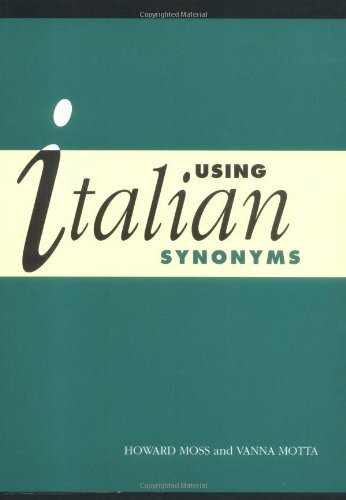 It is the first book of Italian synonyms to be produced with the needs of English speakers in mind. All entries are accompanied by examples of usage and are graded to indicate their level of formality, and there are two indexes allowing users to locate words in Italian or English. This is an essential reference for intermediate and advanced students and teachers of Italian. Last edited by deutsch3000; 12-18-2015 at 05:45 PM.